I love a little (or a lot!) of sparkles for the holiday season! After browsing through the new Selfridges app in hope of being on the list to be notified of the pre Christmas sales, I found Jenny Peckham that does a few amazing sparkle dresses for all body types! Check these out and chose the one that suits you. It’s possibly going to be in minus degrees outside, but you love the sheer trend and if Kim Kardashian and Beyoncé and rock it. So can you! Wear with a bit of sass and turn the heat up in this tulle beauty. Do you have a fancy Christmas gala or theatre to attend? Be the belle of the ball in this beautiful silk gown! All eyes will be on you in this masterpiece. This dress seems quite understated compared to the previous, but this can be versatile with the length! Style under a skirt to change it up, and it’s the perfect length if you’re petite like me! Let us know which dress is your favourite and which sparkle are you?? 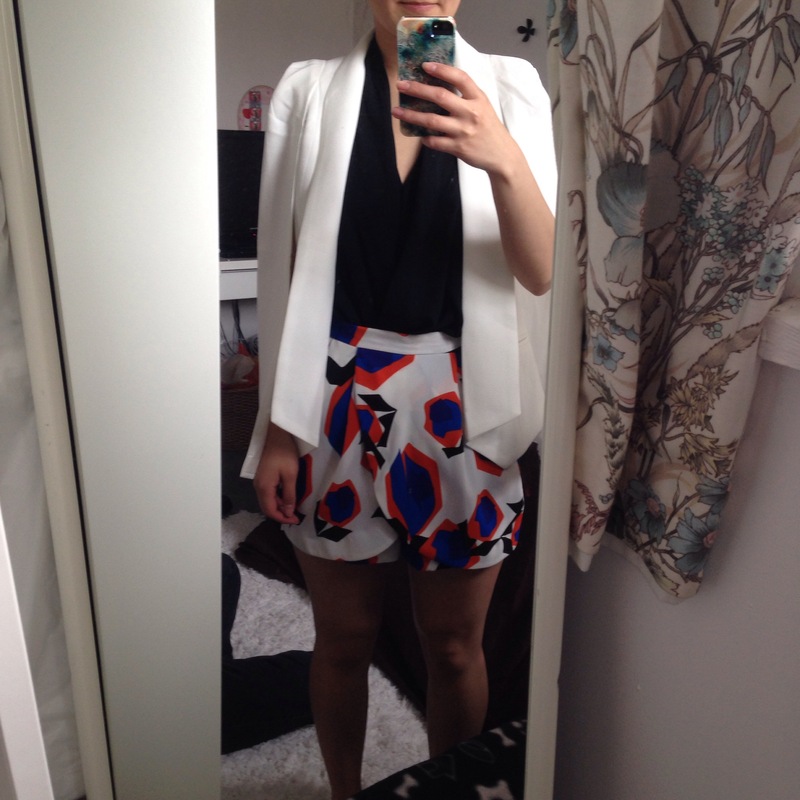 This outfit revolves around one of my most chic investment jacket! I think everyone needs that one jacket that they love and will wear to death. So not only will you get your moneys worth, but you’ll look so chic doing it! Ted Baker Eni Jacket (Similar here), H&M V Neck T-shirt, Topshop Ripped Jamie Jeans, Hermit Bag (Similar here), River Island Heels (Similar here). Throwing in some texture to an outfit will bring plainer pieces to life and style it up. You can make a super casual outfit instantly chic and sophisticated by adding a structured jacket. Doesn’t this Ted Baker jacket give you the Coco Chanel vibes?? Adding a pop of colour or mixing textures makes you stand out from the crowd. Just make sure you keep the colour pallet simple! To stand out from the crowd I’ve team it with some faux snake River Island strappy sandals. These are super comfy with padded soles and support your feet in all of the right places! Adding textures adds depth to an outfit. See how the jacket smartens up a simple jeans and t-shirt combo? This is style with my £30 ‘Hermes’ Bag, we’ve now donned names for replica/inspired pieces that have come from unfortunate fumbles of online shopping. So this bag will now be called ‘Hermit’ Check out the full list of donned names here, and add your own! Check out more OOTD posts here. White is a brilliant colour to work with, wear it in blocks or accents. Dare to go all white out! These shorts reminded me of a high-end fashion brand with its orange and navy prints. Wear with this seasons slouchy orange organza shirt or dress up with a smart top. Avoid navy to look like a bankers uniform. Last but definitely not least. Chanel should be in every girls wardrobe. Floral is perfect to nail the summer breeze outfit, it’s light and can be used as the main focus of the look. Dress from Missguided – Floral cut out skater dress silver. White is a brilliant colour to work with, wear it in blocks or accents. Dare to do an all white outfit! These shorts reminded me of a high-end fashion brand with its contemporary orange and navy prints. Wear with this seasons slouchy orange organza shirt or dress up with a smart top. Avoid navy as it may look like a bankers uniform. Victoria Beckham is an avid fan of the vivid orange shade that you can see in her s/s15 collection in House of Fraser and the like. 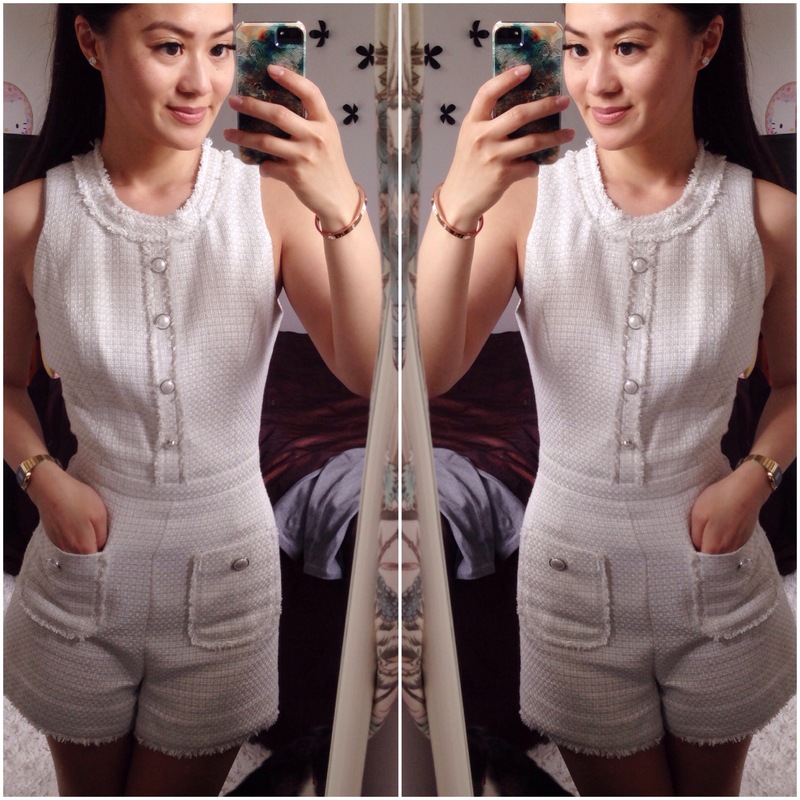 Playsuit from River Island. Cream metallic tweed playsuit. And last, but definitely not least..Chanel should be in every girls wardrobe. For a budget friendly take on it, look for tweed fabrics and pearl finishes. Team with a matching jacket or a similar shade to complete this outfit!